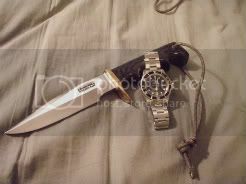 Discussion in 'Other Watch Brands' started by Clark J, Nov 11, 2011. What do you guys know/think about Kobold?? ?Would like to find a nice used one of these TWO. I like them and applaud him for having a crack and starting his own watch company. German made cases and trusty old eta movements behind some cool dials. RRP on new models is too much IMHO though. A bit overpriced. Not sure about the secondhand market on these as they are not made in great quantities and they tend to sell pretty quickly. I've never seen a Kobold in person, but I like their designs. The Spirit of America comes to mind. And the two that you picked out are sharp looking. However, having been spoiled by Rolex, poor Mr Kobold will have to go far to get my dollar . . .
. . . I knew about the ETA movements, but I didn't know that the cases were German made, Pete. If so, what the heck is the Made in America part? I like the Kobold SMG-1 as shown in this thread. Arctic Diver looks similar to the Spirit of America. Pete, how could this be? Are they making their own movements? For one model in the line? The link and article below are taken from their website so it'll contain the usual marketing tricks but it seems that this particular model is indeed "Made in the USA"
Its origins are a nod to the esteemed history of American watchmaking. With over 87% of the watch manufactured in the United States, this timekeeper represents a bold return to U.S. wristwatch manufacturing. * The Spirit of America Automatic is the first Kobold to be designed, engineered, manufactured and assembled in the United States. Its distinctive Soarway case is entirely U.S.-made. Herein lies perhaps the biggest achievement of Kobold's unique and groundbreaking Made-in-USA project. Not only is the well-known Soarway case, including its bezel, mid-case and caseback, manufactured in Pennsylvania. Even the crown, crown tube, lug bars and screws are American-made. The raw material from which each case component is milled is stainless steel. The signature domed sapphire crystal is also grown, cut and polished in the U.S. Hence, the Spirit of America Automatic's case is truly 100% U.S.-made. In early 2006, Kobold committed itself to assembling all of its watches in the U.S. and in 2007 ventured to manufacture a timepiece that consists mainly of U.S.-made components. This strategy is a significant departure from the way in which other industry leaders in the high-end watch segment produce their watches. However, not all components of the Spirit of America Automatic are American-made. At the core of the Spirit of America Automatic beats a self-winding manufacture (in-house) movement, the remaining stock of which is exclusively available to Kobold. Caliber K.2651, an automatic-windingl 21-jewel movement, features a power reserve of 42 hours and bi-directional winding rotor. The movement itself was originally made in Germany, but re-worked stateside. over 86% of its actual value is of U.S. origin. ** The base caliber, a Forster movement, features polished blued-steel screws that have been heat-treated. This process is in keeping with the traditional school of watchmaking, as opposed to the modern chemical treatment process used to elicit the blue hue of screws destined for more generic watches. The winding rotor is manufactured in the U.S. On special request, the rotor will feature hand-applied guilloche decoration, as well as 18-K gold plating. Each movement is modified, decorated, assembled, adjusted, and tested in Kobold's Pittsburgh workshops. The K.2651, while straightforward in design, is a reliable and accurate movement ideal for the minimalist Spirit of America timekeeper. The watch's Bauhaus-inspired design is complemented by a hand-made, galvanized copper dial with either Jet Black or Arctic Blue sunburst finish. The dial features brushed stainless steel appliques, over which a pair of brushed steel hands indicate time. Both the dial and hands are legible even in complete darkness thanks to being treated with the latest-generation SuperLuminova luminous material. The dial is proudly signed "PITTSBURGH, PENNSYLVANIA". I've worked on several and I agree for what they are, they are very, very expensive. Especially after they basically doubled their prices overnight a few years ago, with no changes in the watches really. Regarding the made in America marketing (like some other things with this company) I have my opinions, which I shall keep to myself. Sorry me again,,so where are we at on Kobold? 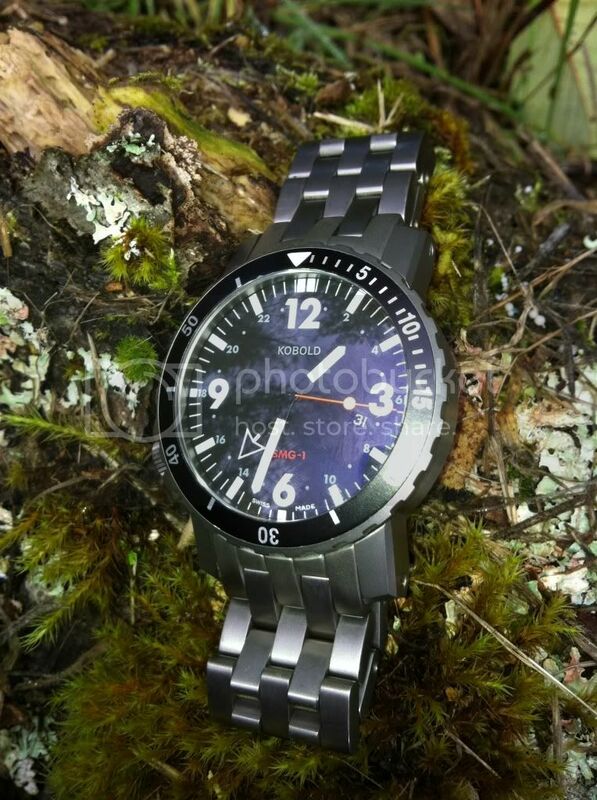 ?I'd like to pick up a used Kobold Endeavou or Comanche,,they seem to be available for around 2Gs.Both have the 7750,,is this a good knock around and a dependable watch? ?Let me know,Clark. Yeah, the character Chin Ho Kelly wears a Kobold "Arctic" in Hawaii Five O. Not exactly an Arctic region. :thinking::rofl: Good looking watch though.